I stared at this Tweet because I could not fathom how everybody could be this happy. Everyone appeared to sparkle with joy, and I felt an astonishing resentment and discontent by what they must have accomplished. This Tweet rapidly crystallized an awareness that I had not been taking care of myself. I feared my capacity to feel happiness for others had vanished for keeps. There was no denying it was a sign of burnout. I had become physically tired at the end of the work day. Time and again I was emotionally drained and needed to sit in my car for several minutes before leaving the hospital just to regain my composure. I sensed, and my palliative care team confirmed, I was periodically grouchy and irritable. I had not been taking vacations regularly throughout the year. The worst blow was intermittently missing my beloved choir rehearsals on Tuesday nights because I couldn’t catch up with notes and patient followups. Professional burnout is real. It is a burden that does not retreat. One can feel physically, emotionally, and mentally sapped. It creeps into your ordinary thoughts leaving one feeling insecure about job performance and clouds the meaning of your work. In retrospect, it had been eroding my life. I explored the program link and hoped I could address my self neglect: Professional Training Program for Clinicians in Compassionate Care of the Seriously Ill and Dying. I recalled seeing Dr Joan Halifax at the 2010 Boston AAHPM assembly and remember how passionately she spoke about compassion and end of life care. The psychosocial, existential, and spiritual aspects of providing end of life care are essential. Clustering these elements, learning in an intimate environment, and being fully secluded from the outside world was very appealing. 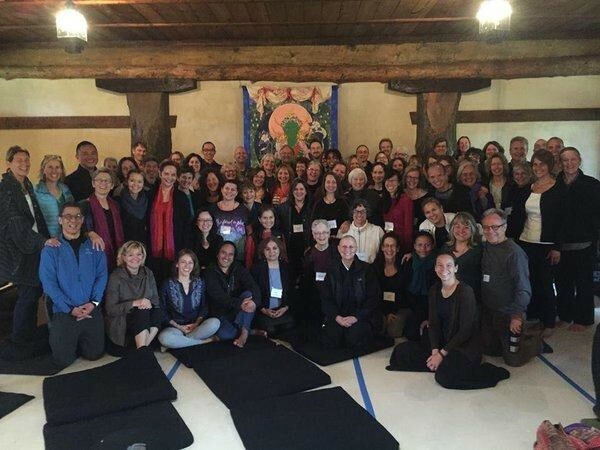 I found the link to the Upaya podcast recorded from the 2015 conference by presenters Dr Tony Back and Dr Cynda Hylton Rushton. I was fascinated by their sensitivity and focus on the topic Engaged, Not Attached: Being with Dying. I could hear their wisdom with full attention. They were knowledgeable about palliative care and end of life care. They openly explored the roots of compassion and how caregivers face tremendous anguish and helplessness. They explored how the body informs us when it is stressed and how we ignore and override those signals. This presentation refocused my intention to take better care of myself. I immediately requested time off from work to attend the following year’s conference. Fast forward to the Albuquerque airport baggage carousels where I met a group of excited and eager attendees boarding the same shuttle to Upaya’s campus, above the town of Santa Fe, NM. The campus contains what is described as a Zen Buddhist practice, service, and training center. I was entering a new terrain in the high desert, far away from my suburban Maryland hospital palliative care practice. Upon arriving, I was warmly received by the resident staff, easily recognized not only by their simple black garb but also by their mindfulness to the task at hand. 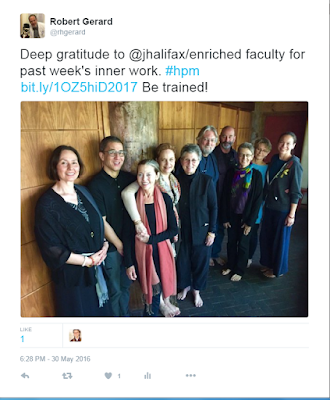 I knew setting out, this journey would travel deeply into the roots of my professional work found in AAHPM assemblies, EPEC trainings, and professional retreats at the Center for Mind Body Medicine I attended. I didn’t realize it would also repair my insight, rehabilitate my empathy, and cultivate compassion and mindfulness so effectively. What set this program apart from formal educational training was the thoughtful pacing of work sessions that also permitted time for self-reflection. We were obligated to remain in silence outside of work sessions. This was suitable to accomplish inner work but it did push me to the edge of my comfort zone. Finding and exploring this “edge” was a theme our faculty visited and I experienced throughout the week. By the end of the program I declared these 54 CME credits to be the most demanding I’ve earned since medical school and residency training. I, along with 60 other end of life professionals, gathered in the zendo (meditation hall) every morning for daily guided meditations with Roshi Joan. These remarkable meditations can be found in her book: Being with Dying. She led us to a space where we could reflect on loving kindness, compassion, sympathetic joy, and equanimity. We also were led to explore our own mortality or practice visualizing the taking in of suffering and giving out of comfort to those around us. The daily 30 minute yoga practice physically challenged my body and helped to calm my mind. The daily meeting with a council strengthened connections with a wonderful group of health care providers and gave me space and time to voice feelings. We had opportunities to work in small groups throughout the week for thought provoking exercises. The late afternoon meditation gathering in the zendo gave me time to peacefully center myself after a long day of didactic and reflection sessions. The evening wrap-up helped reinforce what I had experienced during the day. The days were very long but I didn’t feel fatigued. During the week, the neuroscience didactic sessions explored many interesting topics like neuroplasticity. I learned how my mind’s default is to aimlessly roam like a guppy and naturally hard wire the effect of distress on our body. It became apparent through scientific studies that training the mind with meditation and mindfulness can increase happiness and reduce self imposed physical distress. I caught on that my mind frequently overstimulates the parasympathetic branches of the vagus nerve and muffles my voice and breath in times of stress. After several days of meditation and reflection, our group was prepared to spend intensive time with a challenging ethical case that would touch upon moral distress, and moral outrage. Not unexpectedly, it was a challenge to leave a supportive and nurturing retreat and to re-enter the outside world as I knew it. Throughout the week and beyond, I began to feel more comfortable in my body. I could begin to understand the benefits of a frequently repeated phrase during the week, “strong back and soft front” that rewards vulnerability with strength and support. All too often in life, I have carried a defended front and a burdened back. After returning to work, I learned to be more mindful of physical feelings of distress that I had ignored before. I gave myself permission to pause and set my intention in the moments before entering a room to engage a patient or family. More than once in my career, I sailed into a room without a hand on the helm and managed to lose trust of a patient or family simply by not being attuned and grounded. Our ethical case presentation at Upaya helped me look at hospital based dilemmas with a different lens and focus. 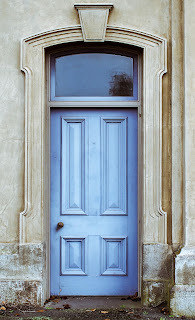 I can disclose I have a restored energy, renewed passion for end of life work, and a more spacious place for inner work. Although I am still prone to the stressors of work, I now recognize the signs of burnout quickly and address them. And now looking back at the retreat Tweet, I’m filled with appreciation, gratitude, and joy! I realize that this self-care is as essential to my professional work as the sun is to a garden. I’m trying to make these few simple changes permanent fixtures because life itself hangs by a breath. Robert Gerard is a palliative care physician with the Mid-Atlantic Permanente Medical Group. He is the physician lead for Schwartz Center Rounds at Holy Cross Hospital, Silver Spring Maryland and can be followed on Twitter @rhgerard. He finds work/life balance and rejuvenation as a singer with the National Philharmonic Orchestra and Chorale and is looking forward to an exciting season of concerts beginning November 5th, 2016. 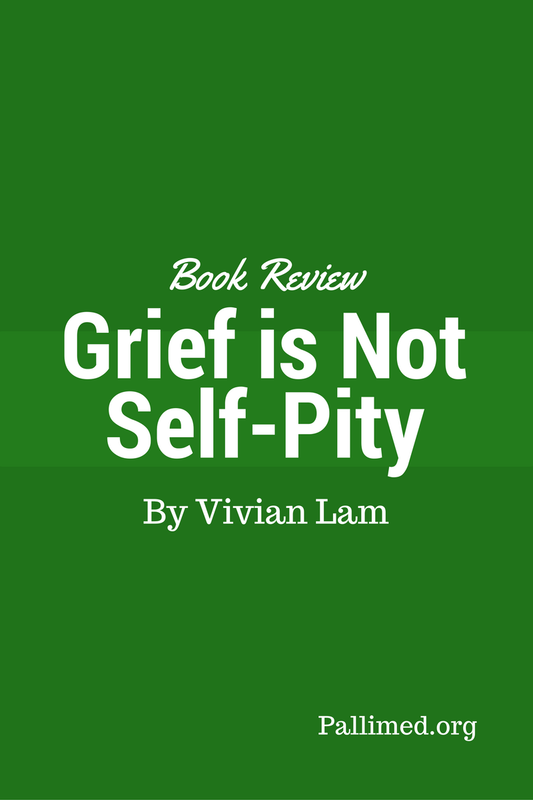 When does grief become “self-pity”? What is the “proper” way to grieve? 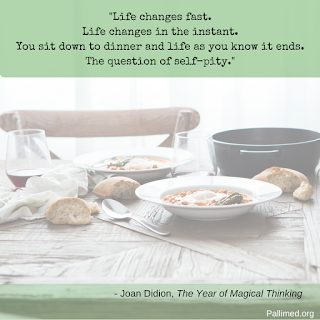 Joan Didion begins writing what would become The Year of Magical Thinking a few days after her husband, John Dunne, dies from a heart attack. Coupled with the mounting health crises of her daughter, Quintana, Didion’s world is thrown out of joint. In the ongoing aftermath of these tragedies, Didion, acclaimed novelist and literary journalist, copes by doing what she has done all her life—write. But this time, her husband is no longer the patient proofreader working beside her, but a ghostly absence she can’t stop turning back to. She tests the threshold where “normal” grief crosses into the “pathological,” picks apart medical and societal indifference towards the patient and the survivor, scrutinizes a vast scientific and literary trove on death and mourning. But in spite of her clinical self-awareness and the terse detachment of her reporting, she can’t break out of an irrational “magical thinking” that sends her down a spiral of uncertainty and regret. What makes The Year of Magical Thinking a quintessential work in the bereavement canon is not just her analytical prowess, but the strength she finds in vulnerability. What results from her attempts to “come to terms” and “handle things” is an extended elegy to grief and change. In the waves of raw despair that belie how lost and isolated death has left her, Didion demonstrates a resilience that, though failing to triumph, offers illuminating insights on the experience of grief and the insufficiency of our traditional views towards the process of grieving. 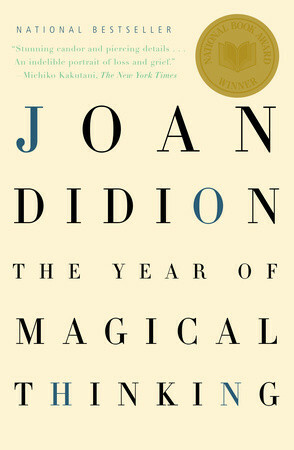 We might even find it wrong to consider grief a process in the first place; for Didion, grief comes as a state of being. Directly opposing her attempts to gather information and regain control of the situation, Didion is plagued by an “irrational” disengagement with reality. “Magical thinking” refers to a belief that an action or object can influence or change the outcome of an otherwise unrelated course of events. Some might call it “superstitious,” and others might call it “prayer.” For Didion, magical thinking comprises her illogical belief that her husband was “coming back,” and that she would yet be able to save him and “reverse the narrative” (35). She balks at the hospital’s request to donate his eyes and at her own reluctance to donate his shoes, for “[h]ow could he come back if they took his organs, how could he come back if he had no shoes" (41)? She links her resistance against putting her daughter on a trach by “the same fund of superstition” that “she could be fine in the morning, ready to eat, talk, go home” (125). Compounding these frustrations is what she calls “the vortex effect” (107)—a kind of PTSD triggered by familiar details that send her time travelling back to when her daughter was three years old, to when she and her husband went to dinner at Morton’s every week. “I cannot count the days on which I found myself driving abruptly blinded by tears. The Santa Ana was back. The jacaranda was back” (107). She repeatedly berates herself for being so easily sideswiped by these memories, to not be able to even “get as far as Rite Aid” without being swept in another deluge of regret (121). “Until now I had been able only to grieve…Grief was passive. Grief happened. Mourning, the act of dealing with grief, required attention. Until now there had been every urgent reason to obliterate any attention that might otherwise have been paid, banish the thought, bring fresh adrenaline to bear on the crisis of the day. I had passed an entire season during which the only words I allowed myself to truly hear were recorded: Wel-come to U-C–L-A.” (143). She condenses grief into textual form, expressing a fragmentation of thought and experience of reality that exposes a vulnerability she struggles to come to terms with. Facing these mounting crises, Didion falls back to what she “had been trained since childhood” to do: “read, learn, work it up, go to the literature. Information was control” (44). She references a robust range of sources on death and grief from history and sociology (e.g., Sherwin Nuland’s How We Die, Phillipe Aries’ Western Attitudes Towards Death), psychology (e.g., Freud’s “Mourning and Melancholia”), classic literature (e.g., CS Lewis’ A Grief Observed, Thomas Mann’s The Magic Mountain), poetry (e.g., Auden’s “Funeral Blues”), “professional literature” (e.g., the Harvard Child Bereavement Study, The Merck Manual), and a number of other medical papers. Emily Post’s 1922 book of etiquette, far from being outdated, resonated with her because she “wrote in a world in which mourning was still recognized, allowed and not hidden from view” (57). She was taken by its practicality, as opposed to vague prognostications of abnormality. “...I was told by a physician's assistant that after his weekend absence he had come in that morning to find Quintana's condition 'encouraging.' I asked what exactly had encouraged him about her condition when he came in that morning. 'She was still alive,' the physician's assistant said” (66). What does “encouraging” mean? Does “leaving the table” in uncertain condition imply improvement from “not sure at all she would leave the table”? The “gilded-boy story,” used as a memory and comprehension test, “seemed to represent, in its utter impenetrability and apparent disregard for the sensitivity of the patient, the entire situation with which [she] was faced” (105). 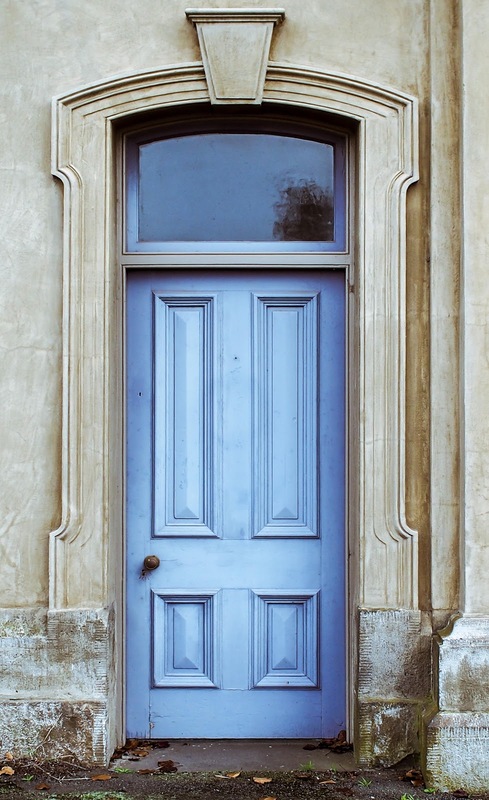 The condescension and indifference she faces in her attempt to stay informed and participate in her daughter’s care, leads her to so deep an isolation that, in a symbolic assertion of her competence, “it did not immediately occur to [her] that for the mother of a patient to show up at the hospital wearing blue cotton scrubs could only be viewed as a suspicious violation of boundaries” (105). It is not until she had read the autopsy report that she “[began] to believe what [she] had been repeatedly told: nothing [they] had done or not done had either caused or could have prevented his death” (206). This didn’t mean that she had finally “overcome” her grief, or could now walk without the chains of memory. 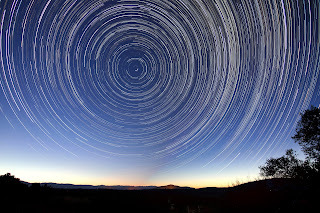 She still continues to reverse time and get lost in a vortex of memories. But now, instead of “trying to substitute an alternate real” she was “trying to reconstruct the collision, the collapse of the dead star” (183). She, like other survivors, still continues to “look back and see omens” and continue “[l]iving by symbols” because of the nagging feeling that she has not “sufficiently appreciated” something (152). It is the tragedy of knowing that we do not have the power to confidently say “You’re safe. I’m here” (219). What Didion comes to realize is the insufficiency of words to grant meaning to a senseless event. The safeguard of literature can never sufficiently prepare her for the experience of grief. Nor can the assurances of her doctors ever remedy the helplessness she faces with death. Writing cannot provide sufficient catharsis to erase the “look of extreme vulnerability, nakedness, [and] openness” that mark people who have lost someone, and “think themselves invisible” (74-75). She comes to realize that the words that haunt her (“And then—gone,” “You’re safe, I’m here,” “For once in your life just let it go”) form a kind of tragic poetry that cannot be analyzed. As Didion states, the difference between “grief as we imagine it and grief as it is” lies in “the unending absence that follows, the void, the very opposite of meaning, the relentless succession of moments during which we will confront the experience of meaninglessness itself” (189). Words cannot fill the void. And yet, a year and three days after starting this account, she realizes that she does not want to finish it. “The craziness is receding but no clarity is taking its place. I look for resolution and find none” (224). We refuse to “[l]et them become the photograph on the table…the name on the trust accounts” and “keep them dead” (224). We are told to let go in hopes that the ghosts will stop haunting us, but to do this feels more like betrayal. Didion does not come to a conclusion. She finds no positive affirmation or overarching meaning. We are left with an awareness of the “ordinary instants” that pass uneventfully in our lives as we wait for the world to suddenly shift beneath our feet. Grief shouldn’t have to become self-pity. In the isolation of the void, where we must undo old habits and swallow the mundane discoveries we save for one listening ear, we are left only with ourselves (195). But even in a world where the divide between life and death has been pushed offstage, who are we to banish grief simply because it reminds us of the finitude of our own ordinary days? We can still support each other in the face of that void—to simply “bake a ham,” “drop it by the house,” and “go to the funeral” in solidarity (61). We must open ourselves to grief, if only to remind ourselves that we are never alone. What Didion has built is a testament to the fragility of our lives, and to our resilience to continue on. We continue to carry these ghosts with us, and we are transformed by keeping them close to our hearts. "Leis go brown, tectonic plates shift, deep currents move, islands vanish, rooms get forgotten” (227). Life changes in an instant. The world moves on. But memory never has to fade. -Blue Nights – What could be thought of as Didion’s sequel to The Year of Magical Thinking, recounting the death of her daughter, Quintana. Vivian Lam is a student at Stanford University striving to contribute tangibly to the fields of end of life and palliative care, and the medical humanities. She enjoys running long distance and warbling the same songs in the shower all year long. There are many movies out there with palliative themes, as we can attest to with our top 10 movie post, which garnered much comments. One of my all time favorites, also made number 1 on our top 10 palliative-themed movies list; Wit. I first saw this movie in medical school. In fact, according to the IMDb, this movie is known for being shown at medical schools as an example of how not to practice medicine. Also, the plot deals with dying, so it's all the more relevant to those of us who care for dying patients. The plot is this: An English lit professor, known for her high expectations and little compassion in the classroom is diagnosed with ovarian cancer. The movie shows her experiences from diagnosis to death. Her last weeks are spent in the hospital, undergoing rigorous treatment. She is alone, except for the nurses, attending and fellow who treat her. Through her reflections and memories there is a definite parallel between her heartless days teaching and the heartless medical system she is now in. The movie is based on a play by Margaret Edson and this monologue, play-like background is the inspiration for the screenplay, making it unique. The soundtrack is simple with only 4 pieces listed. My favorite piece is "Speigel im speigel" or 'Mirror in a mirror' by Arvo Part. It is played often in the movie, the simplicity of the cello and piano is also melancholy, leaving the viewer with the feeling of being alone, just as the main character is. I love this movie not just for it's ability to pierce me with its sad realities of the medical world, but also for it's subtle sub theme about death. All through out the movie we are bombarded with a certain text from a John Donne's Holy Sonnet 10. The main character was a John Donne expert and specifically recalls the punctuation differences pointed out at the end of this poem by her mentor. The last line of the sonnet entitled "Death be not proud" is "And death shall be no more, Death thou shalt die." The version our main character had found was different "And Death shall be no more; Death thou shalt die!" Here is the discussion with her mentor on the punctuation differences, talking about the version with the comma: "Nothing but a breath, a comma separates life from life everlasting. Very simple, really. With the original punctuation restored Death is no longer something to act out on a stage with exclamation marks. It is a comma. A pause. In this way, the uncompromising way one learns something from the poem, wouldn't you say? Life, death, soul, God, past present. Not insuperable barriers. Not semi-colons. Just a comma. " If only the main character's death could have been so simple. Yet of the many ways death is portrayed in films, her portrayal is haunting. No one should have to die like this, without dignity and respect (ignoring her DNR)...alone in a hospital. Yet it is haunting, because of how real this type of death is. It is the antitheses of a palliative care death. I've included a clip of our main character (Emma Thompson) thinking out loud. It's a lovely introspection of what's she's dealing with. Another clip has been taken down from YouTube, but when originally posted, it is a beautiful moment when our character actually gets her one and only visitor, her old hard-nosed mentor. The simplicity of human connection in the clip, with the Arvo Part soundtrack accompanying, makes me tear up every time. Dr. Amy Clarkson is a hospice and palliative care doctor in Pratt, KS, and former co-editor of the Pallimed: Arts and Humanities Site. 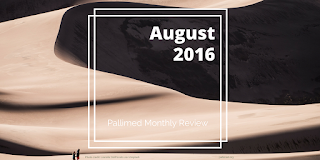 If you are interested in writing reviews for old or new books and films, please check out our Pallimed Opportunities page. - Ed. What Makes Up High-Quality Primary Palliative Care in Oncology? I'm surprised that I’m not hearing more about the recent ‘Guidance Statement’ put out by the collaboration of ASCO and AAHPM on “Defining High-Quality Palliative Care in Oncology Practice.” (OPEN ACCESS PDF) It’s a report that provides some very interesting insight into what pieces of primary palliative care should be part of general medical oncologists’ practice. When I read it the report, I was pleased to see that it was published in ASCO’s journal, and I noted the impressive list of authors. My eyes briefly glazed over as the discussion moved to Delphi methodology, but a few quick Wikipedia searches on study-design later, I was back on track, diving into the data. I am, of course speaking about that in jest—these statements and guidelines need to be rigorous and they need to be done with well-defined methodology. Gather a bunch of very smart oncologists and palliative care professionals. Give them a list of nearly 1000 statements of specific actions that might be part of high-quality primary palliative care practice in oncology. Have them decide if those items are definitely/maybe/not part of primary palliative care that oncologists should regularly be doing. The panel also grouped these practices into “Domains” for organization: End-of-Life Care, Communication and Shared Decision Making, Advance Care Planning, Appropriate Palliative Care and Hospice Referral, Symptom Assessment and Management, Carer Support, Coordination and Continuity of Care, Psychosocial Assessment and Management, and Spiritual and Cultural Assessment and Management. The panel’s views on the different domains were informative. The highest percentage of items which the panel endorsed as “Included” in primary palliative practice by oncologists were in the realms of End-of-Life Care, Communication and Shared Decision Making, Advance Care Planning—more than 75% of items assessed were deemed to be part of standard practice. The lowest percentage was in Coordination and Continuity of Care, Psychosocial Assessment and Management, and Spiritual and Cultural Assessment and Management—with less than 50% of the items assessed deemed part of standard primary palliative practice by oncologists. These numbers don’t mean that oncologists aren’t interested in any Coordination of Care though—It means, for example, that while the item “Communicating current prognosis to primary care [provider]” was thought to be included within their regular scope, that “Obtaining family/surrogate feedback regarding clinic practice of coordination and continuity” was thought not to be—again, they looked at nearly 1000 specific actions. As a palliative care physician, I found the data included on symptom management most interesting. The report showed a figure with 23 symptoms ranked in order of whether items related to them were thought to be “Included” or “Uncertain” to be part of oncologists’ general practice (also remember that there was a third “Not Included” category, to put this data into perspective). Chemotherapy-related toxicity, nausea and vomiting, dyspnea, fatigue—over 90% of the items were thought to be “Included” as part of standard practice. Pain—66% of the items evaluated were deemed part of standard practice, and 33% “Uncertain.” Depression and anxiety—only 27% and 20% of these items were thought to be “Included” as part of primary palliative care activities for oncologists. So how do we use this data? Again, the report doesn’t show that oncologists aren’t interested in treating depression, or aren’t interested in psychosocial aspects of their patients. But, it does show that there were pieces of the care of depression, and pieces of psychosocial care that might fall outside of what oncologists might be doing in their practices. This tells me that while I, the palliative care specialist, might be able to help control a patient’s nausea or fatigue, this panel notes that the general oncologist might feel that they’ve got those symptoms mostly covered. But instead, as the collaborating consultant, it sounds like extra support with pain, anxiety and depression, and extra psychosocial and spiritual care would be welcome. It also seems that while a physician or APRN might have value being placed in an oncology clinic, we really need to pull in our social workers, psychologists, and chaplain colleagues to care for patients in aspects that oncologists are likely least comfortable performing as part of their standard practice. Dr. Ross Albert is the chief of the division of palliative medicine at Hartford Hospital, and the medical director for the Hartford HealthCare at Home Hospice teams, in Hartford CT.
Bickel KE, McNiff K, Buss MK, Kamal A, Lupu D, Abernethy AP, Broder MS, Shapiro CL, Acheson AK, Malin J, Evans T, Krzyzanowska MK. “Defining High-Quality Palliative Care in Oncology Practice: An American Society of Clinical Oncology/American Academy of Hospice and Palliative Medicine Guidance Statement.” Journal of Oncology Practice. Published online August 16, 2016. Image Credit: From the article cited above. 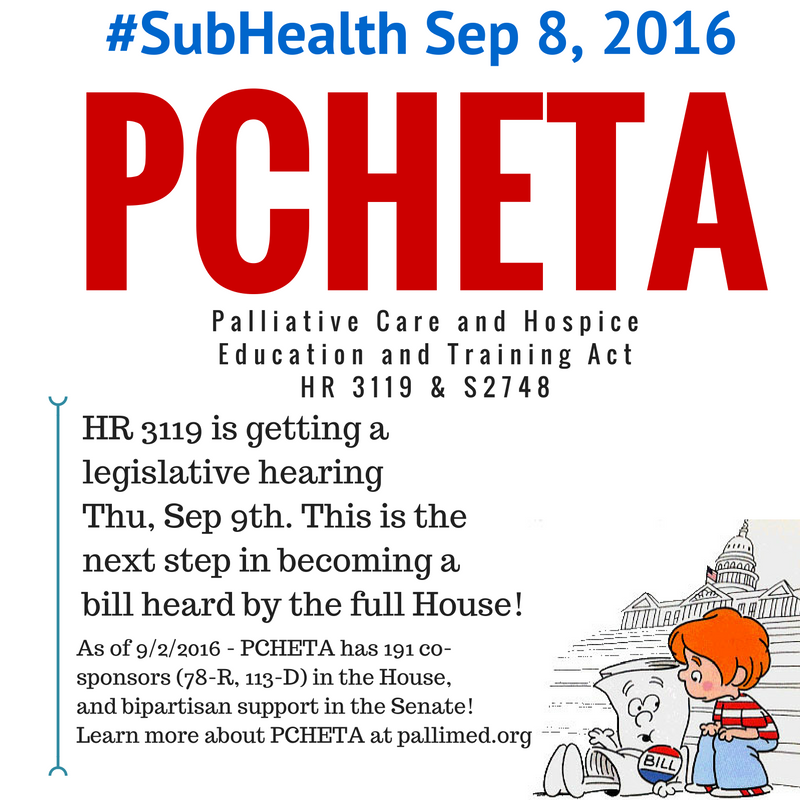 PCHETA has a date with a subcommittee! Thank your rep! Hey all you hard-working palliatricians and hospice clinicians, we have some pretty exciting news for you! 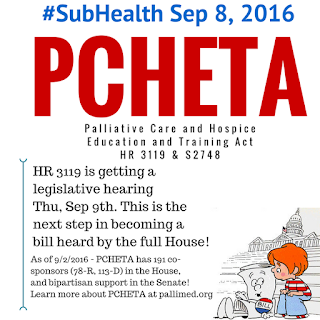 This Thursday Sep 8th, the Palliative Care Hospice Education and Training Act (PCHETA - H.R. 3119/S. 2748) is going on a first date with the House of Representatives Subcommittee on Health (who even has their own hashtag #SubHealth). So what does this mean? This legislative hearing includes PCHETA and 4 other bipartisan bills focused on improving public health that are being considered for further advancement to the full committee level and eventual consideration in the house. If it goes well, we are one step closer to seeing the goals of PCHETA realized. What is PCHETA again? 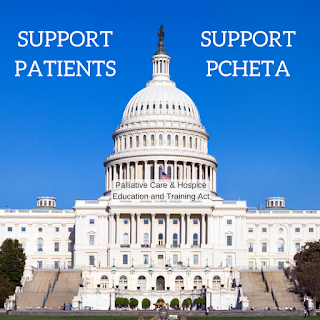 We have talked about PCHETA here before, you may have seen it on our social media channels, or heard about it from the many organizations that support it (AAHPM, NHPCO, HPNA, CAPC, SWHPN, American Cancer Society, Alzheimer's Association, American Geriatrics Society, and many others.) But we forgive you if you cannot recall what PCHETA will do. So what can you do? First, accept my thanks for doing the strong work everyday. Second, recognize that we can't change the world without advocating for our patients, families, and peers outside of our everyday clinical interactions. So lastly , please consider contacting your legislators. If they are on the House Subcommittee of Health, let them know why this matters. 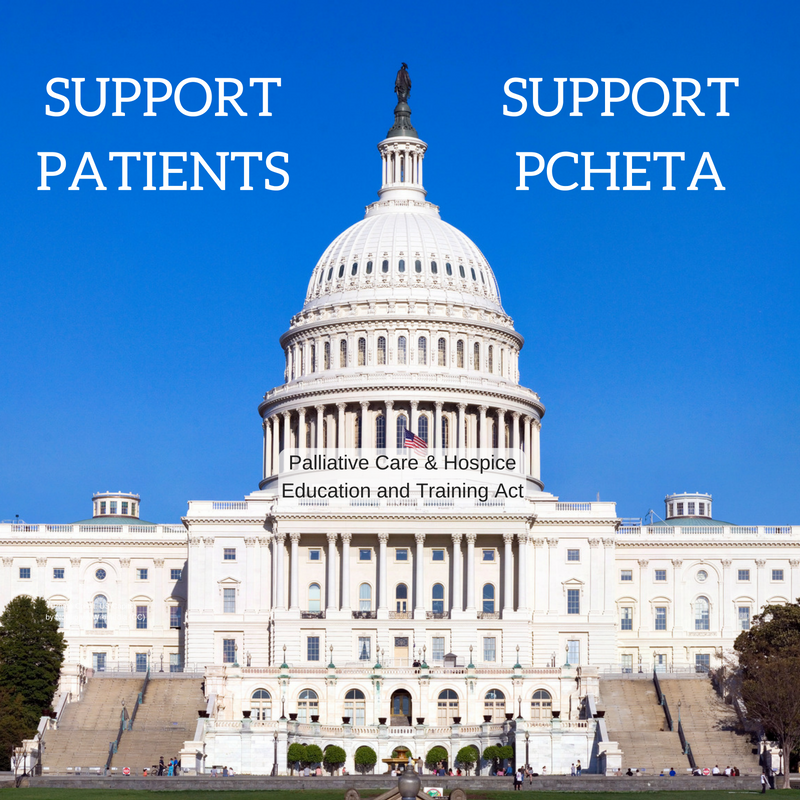 If they have already supported PCHETA as a co-sponsor, then thank them and let them know, that you know this House Subcommittee is coming up! AAHPM has an easy way to contact your legislator, so take 5 minutes and make an impact. Christian Sinclair, MD, FAAHPM is a palliative care doctor and editor of Pallimed. And is still learning about the long slog it takes to see legislation turn into action. *Although GovTrack gives the prognosis** of being enacted as 7%. We can do better than that! ** Yes they do call it a prognosis. Not being ironic. 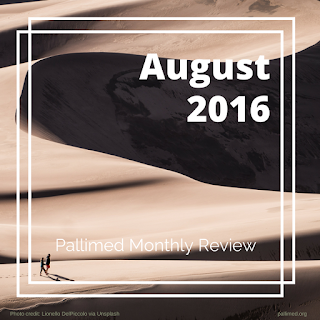 August 2016 has left the building along with a lot of heat, rain and wildfires. 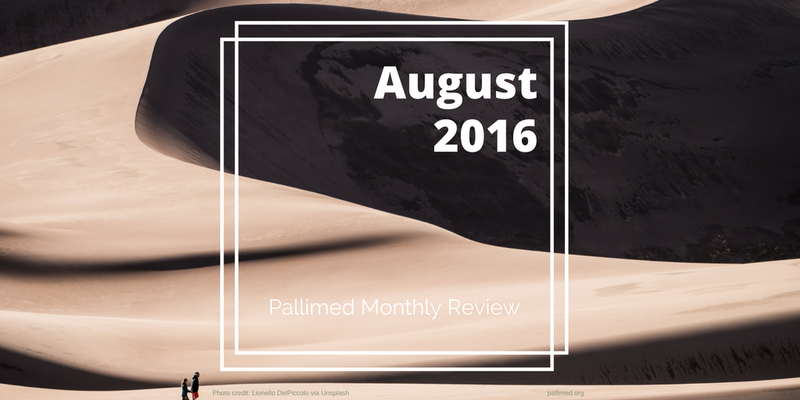 Here is a recap of all of our posts from August 2016. We know there are some you may have already bookmarked, but forgot to read, or maybe you liked it so much you want to share it again. Make sure to follow, engage, like and comment with us on Facebook, Twitter, Google+, Pinterest, Tumblr, Instagram and LinkedIN. We always appreciate it when you recommend us to your peers and social media makes it very easy! 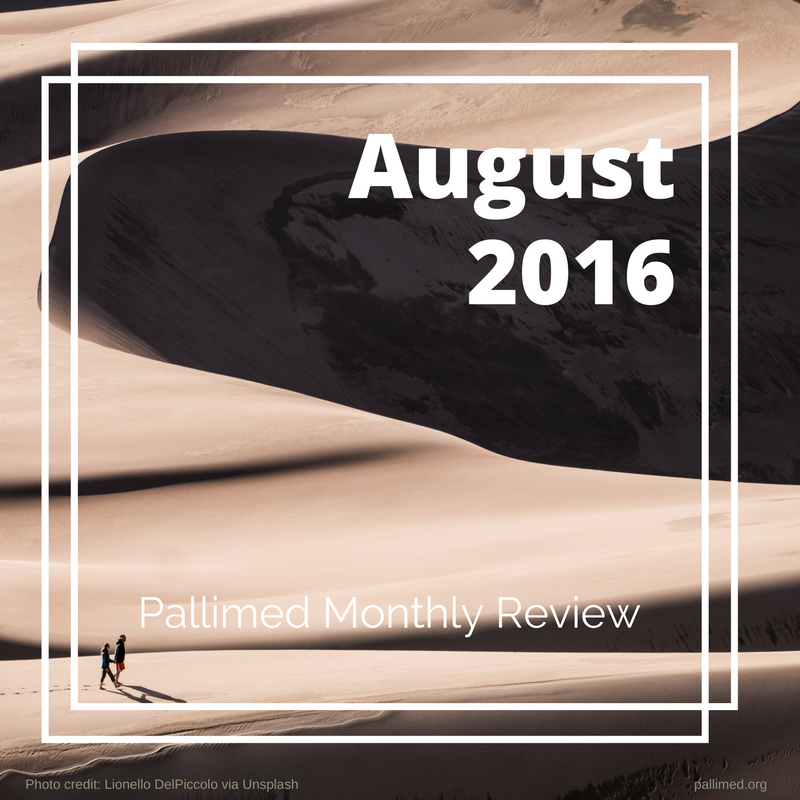 Frustrations with words not living up to their promise continue to be a theme this month. Thomas LeBlanc had a great comment on the challenges with the term palliative chemotherapy. Let’s not throw the baby out with the bathwater; the best way to palliate cancer-related symptoms is to actually treat the cancer (if it’s treatable, and if the patient is not too frail to tolerate the treatment). The enemy here isn’t the chemotherapy, it’s the inappropriate use of it in patients who are too ill, or who have resistant disease, or whose goals can’t be met by the treatment. The enemy isn’t the chemotherapy, it’s the notion that patients should be forced to choose either cancer treatment or good palliative care. Instead, I believe they should be able to get both, and we should all work together as a team, oncologist and palliative care clinicians alike, to do what’s best for each patient at each step along the way.